Back in 2002, Google announced something called Google Pigeon and an updated version of their PageRank algorithm called PigeonRank. “PigeonRank’s success relies primarily on the superior trainability of the domestic pigeon (Columba livia) and its unique capacity to recognize objects regardless of spatial orientation,” the firm stated at the time. However, the article was published on April Fool’s and the search giant admitted that Google Pigeon was a joke. But 12 years down the line and the pigeon has appeared once more. This time, rather than Google claiming to have launched an iteration of its algorithm, Google Pigeon was in fact coined by Search Engine Land to describe some major changes in the way that local searches were appearing on results pages. And early indications suggest that it’s set to change local search results significantly. So what do we know about Google Pigeon? But the main thing the update tells us is just how important local search is. If you’ve not yet made it a core part of your search strategy, now’s the time to start, especially if you’re looking to establish a local presence in towns and cities in countries where Google is dominant. What does Pigeon mean for local search marketing? Early analysis in the USA suggests that the role of directory and review sites is becoming more important. In the travel industry, online travel agents and the review website TripAdvisor have increased prominence over individual hotels and hotel groups. What about other countries and languages? 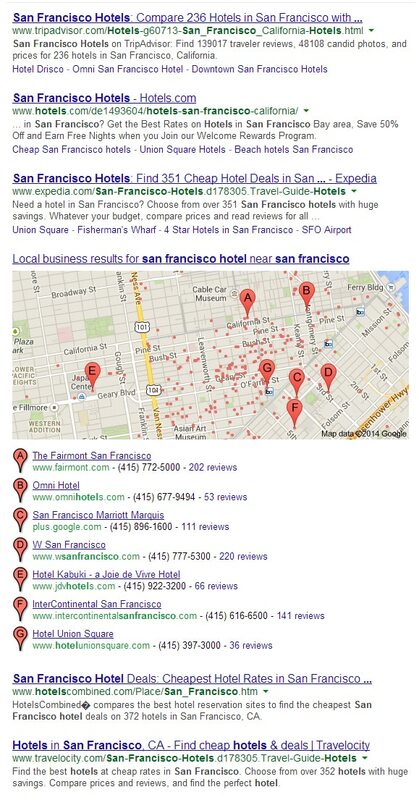 A similar search in London for hotels produces very different looking results with Late Rooms, the hotel reservations website, as the top organic result – followed by the seven-pack of local results, then sites like Expedia, Travel Supermarket and Trip Advisor listed further below. 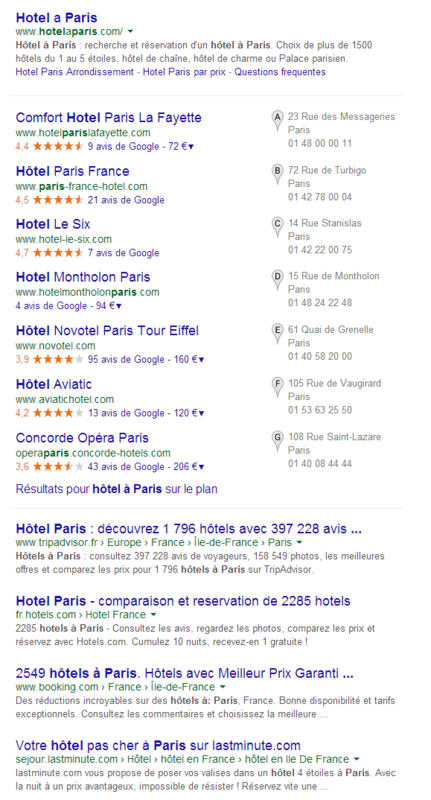 On google.fr in France, a search for “hôtel à Paris” produces results which are very similar to those in the UK, with hotelaparis.com, a French hotel reservations site, appearing first, following by the seven-pack of local results, then TripAdvisor, hotels.com, booking.com and lastminute.com. For the query “hotel en madrid” on google.es, the results are more similar to those in the US with Destinia, booking.com and Trivago occupying the top three organic listings, followed by the local seven-pack and other online travel agents and review including TripAdvisor. A search for “hotel a roma” on google.it also produced a huge number of online travel agents, with booking.com and expedia.it in the top two positions, followed by TripAdvisor before the local listings are presented. So, what can local businesses do? Looking at these results, you might be forgiven for thinking that the pidgeon has already landed in Europe. While it’s important to note that not every local search result looks to be following a common pattern, getting on to local directory sites and obtaining positive reviews on review websites is probably a good idea for local businesses. These sites tend to have very high levels of authority and small local businesses, in many cases, will struggle to compete with them.